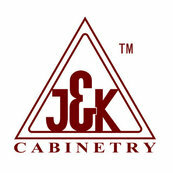 We purchased J&K cabinets for our newly renovated home. We are very disappointed in the quality of the cabinets. After just a few months, they are warping and cracking, the painting is cracking and bubbling. I do not recommend. Hi Kelen, we're sorry to hear that you are having issues with our cabinets. Please contact your local dealer or store so that they can have a chance to assist you.